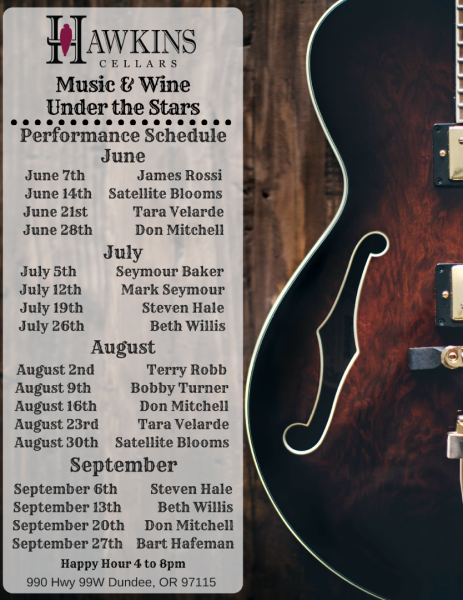 Please join us for Happy Hour (4pm to 8pm) every Thursdays this summer as we present some of the finest up and coming local musicians in the area. Bring a picnic or enjoy a cheese and charcuterie plate, sit back and soak in summer in our beautiful courtyard! Enjoy glass pour specials of our award winning wines from $6! !